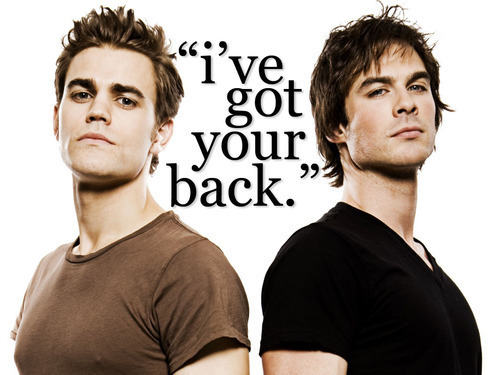 Salvatores Got Your Back. . Wallpaper and background images in the Damon and Stefan Salvatore club tagged: damon stefan salvatore the vampire diaries brothers. This Damon and Stefan Salvatore fan art might contain jersey, t shirt, tee shirt, portrait, headshot, and closeup.